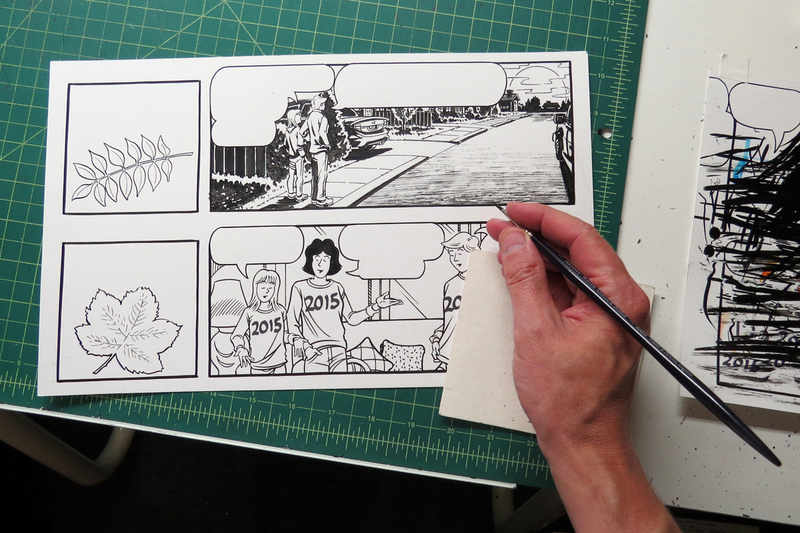 Upcoming Sally Forth dailies. I’m usually about a month ahead of the print date. For Sunday pages the deadlines are about a month and a half. Ready to scan, some quick touch ups with a Wacom tablet, then I’ll lay in the lettering. The last thing I’ll do is print the weeks worth out reduced size on a single sheet of legal size paper for a final edit, then it’s off to King Features.